The concept is found in the early traditions of Hinduism, Buddhism and Jainism. They are treated as focal points, or putative nodes in the subtle body of the practitioner. These theories differ between the Indian religions, with many esoteric Buddhist texts consistently mentioning five Chakras, while separate esoteric Hindu sources will offer six, or even seven. They are believed to be embedded within the actual physical body, whilst also originating within the context of mental and spiritual fields, or complexes of electromagnetic variety, the precise degree and variety of which directly arise from a synthetic average of all positive and negative so-called "fields", this eventuating the complex Nadi. Within kundalini yoga breath exercises, visualizations, mudras, bandhas, kriyas, and mantras are focused on transmuting subtle energy through "chakras". Hearing the haunting sound of the crystal bowls seems to awaken an ancient remembering, touching the essence of the soul. How can we explain what it is? Is it the crystal from which the bowls are made? Is it a refrain from the ethers? Is it our connection with the source of our creation? Let's explore a few questions. Undoubtedly, more questions will arise for you, inspiring you into your own study of sound and vibrational healing. Many cultures and religions revere sound so deeply as to believe it called the universe into being. For the Hindus, all was dark and quiet in the universe, until the first movement in the universe created the sound "AUM." It is the mother tone, containing the frequencies of all other sounds. "Vibrations at 1000 cycles per second are easily audible. If you double the vibrations to 2000 cycles per second, that is one octave higher. If you double it again to 4000 cycles per second, that is another octave. A normal piano spans a bit more than seven octaves. If, hypothetically, we could extend the piano keyboard another 35 to 50 octaves higher, the keys at the higher end would produce colors, rather than audible sounds, when played." (Sound Health - The Music and Sound That Makes Us Whole, p. 182-183). 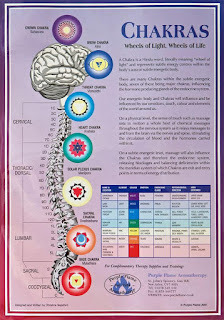 Following is a simple correspondence chart of chakras, colors and notes. Fabien Maman, in his book, The Role of Music in the Twenty-First Century gives dramatic accounts of the effects of sound on cancer cells, using various acoustic instruments and notes, as well as the human voice. He has incorporated the use of sound, color and movement in his work, addressing the subtle bodies, where dis-ease is created. Our bodies, too, are crystalline in structure. When working with crystals, there may be profound effects on the organs, tissues, and cells, as well as the circulatory, endocrine, and metabolic systems. Thoughts are energy forms. When thought energy interacts with a crystal, those thoughts are changed to more harmonic forms, which change brainwave frequencies, showing possible alterations in consciousness. Thus, the power of positive intention or affirmation combined with the use of crystals provides remarkable healing results. The size of the bowl does not necessarily determine its note, although the larger bowls sound lower octaves and notes. Each bowl is tested with digital technology to identify its sound. One will have a sense of which tone "feels" most congruent with individual needs or desires. The notes C, D, E, F, G, A, B correspond with one's energy centers or chakras. 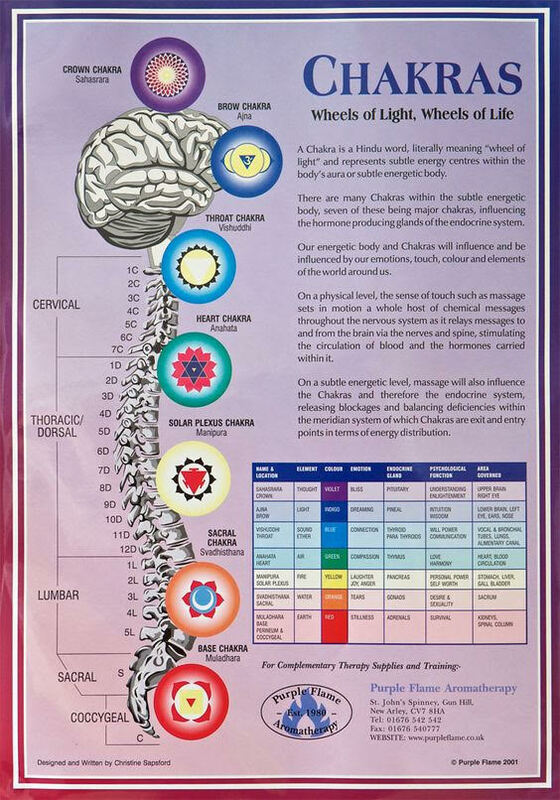 "Perhaps because we are all unique vibratory beings, our chakras may all resonate to different frequencies depending upon our level of development (physical, emotional, mental and spiritual) and our intention. Indeed, it seems that if our intention is clear enough, we can balance or activate chakras with intent alone. Crystal bowls, too, containing the qualities of amplification, storage, transfer, and transformation, are powerful tools in effecting change in one's life. It is important to approach the use of the bowls with a reverence for the potential contained in combining intention with the properties of crystal. Renee Brodie, who uses crystal bowls and color therapy in her healing practice, is the author of the book, The Healing Tones of Crystal Bowls. She has studied exhaustively and makes reference to the history as well as the leading research in sound and color therapy. She offers several suggestions on using crystal bowls. She has also created a CD and audiotape entitled, The Healing Tones of Crystal Bowls: A Journey Through The Chakras To Heal Yourself With Sound and Color. She offers many suggestions for uses of the bowls. Rubber-ball mallets or suede-covered wands are used to sound the bowls. The effect of each is different, and personal preference will determine the choice. One should strike the outside of the bowl, in an upright position, giving about half the length of the wand to the bowl surface near the top rim, then "follow the sound around the bowl" with the wand or mallet, enhancing the duration and loudness of the tone. 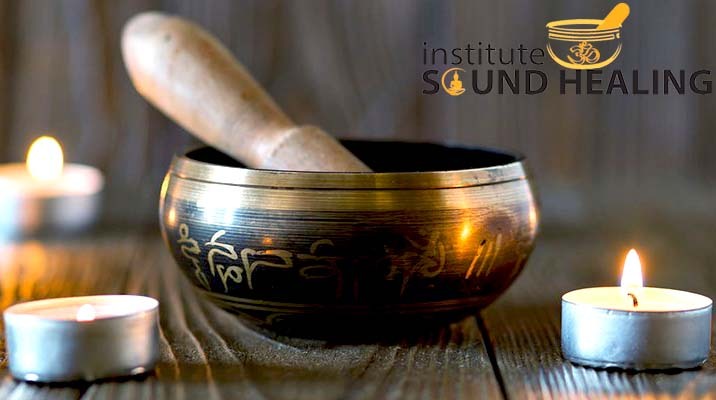 Each practitioner has a unique style of sounding the bowls. Some will move the wand or mallet clockwise for specific intentions, while others prefer a counter-clockwise motion, or a combination. No medical claims are made about the use of crystal bowls to replace the need for medical advice. If you experience any health problems you should always consult your regular physican. Do not place a person's head inside a crystal bowl while playing it. Do not strike or play bowl too loudly, especially near a person's head. Place bowls at least 12 inches apart, or the vibration may shatter a bowl. Bowls may also shatter if several are playing in a small room. Some have noted discomfort or pain if they have metal pins or stainless steel balljoints. Ask before sounding the bowl. Hearing the haunting sound of the crystal bowls seems to awaken an ancient remembering, touching the essence of the soul. tuBoyS. Được tạo bởi Blogger.